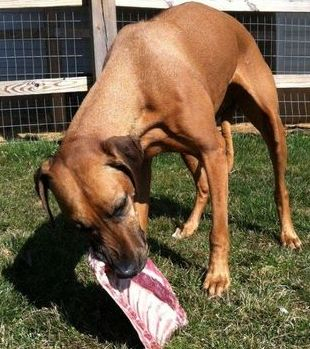 Dogs are carnivores and scavengers. A dog's digestive system is not designed to digest grain. A dog is not a vegetarian. A dog does not use carbohydrates the same as humans do. Dogs need fat and protein to make energy. Vegetables and grains are commonly used for fillers and as bonding agents for processed foods known as kibble. Feeding dog food has been so ingrained into us by our parents, veterinarians, dog food companies and society, we have stopped thinking for ourselves and refuse to listen to any idea outside the box. Dogs are one of the few animals who do not eat what their digestive system is designed to process. Do we feed dry extruded processed kibble to lions in captivity? No they eat meat and bone, because that's what they are designed to eat. Please stop and think about what you are feeding your dog. cannot in good faith recommend any type of packaged dog food either dry or canned. You can properly feed a puppy from a baby into adulthood without feeding a processed dry or canned food. Below are just a few foods that have been recalled in recent months. How Much is Your Dog's Nutrition Worth? When you go to look at dog foods, the biggest thing you are probably looking at is cost. I would say the average Ridgeback probably takes about a month to get through a 25-30lb bag of dog food; that is if he's being fed the correct amount and not being overfed. How many people do you know that can get through an entire month on a $50 or even $70 grocery bill? No one that I know. So keep this in mind when you are shopping for your dog's food. Your dog's health should be above and beyond your worry of how much a bag of dog food costs. After all it's just over-processed, cooked biscuits. In fact, if you are so worried about the cost of your dog's food, you probably don't need to own a dog, because you've got bigger things to worry about. Your concern should be on the ingredients, the sources of those ingredients, and the quality of ingredients that your dog is receiving from the food you choose to feed. Pay attention to the ingredients, and look out for fillers and grains. Dog food companies use tactics to trick you into thinking that meat, being the first ingredient listed, is the basis of their food. Actually what they do, is double up on things in the ingredient list. For example, they will list corn, then corn gluten meal as separate ingredients. 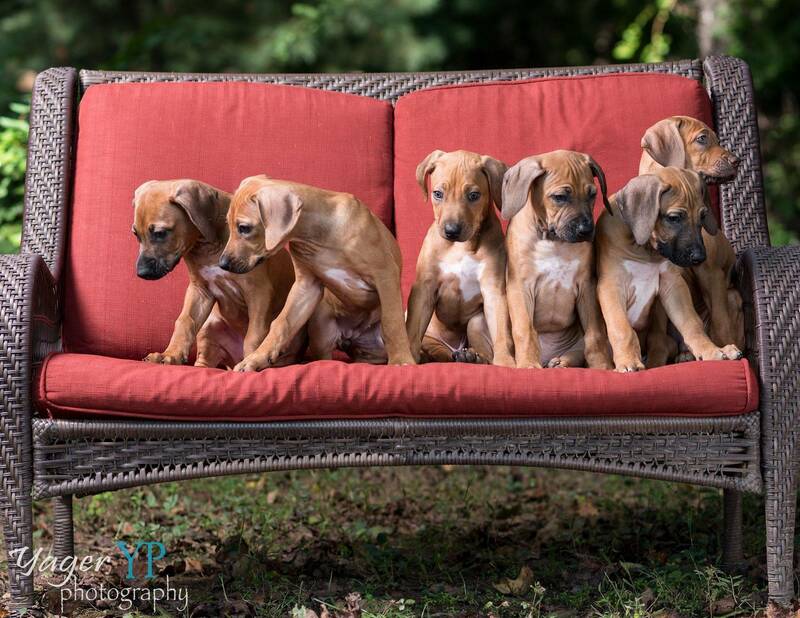 What Does Semper Fidelis Ridgebacks Feed? I feed my own dogs a raw based diet. When it comes to feeding and your dog, do what works for you and your dog. Not everyone or every dog is capable of eating a raw diet, or some, even a kibble diet. The below information is a guide. I am not saying that you must feed a raw diet or a kibble diet. Again, do what works for the dog. All I do ask is that you feed your dog a grain-free premium diet.